Yesterday, myself and several other technology journalists received an email from a public relations firm called Misty Mountain PR, touting the virtues of the Memobottle A7 for “women in tech.” The pitch was laughably bad, and in addition to being roundly mocked on Twitter, a couple of publications took the bite and wrote something about it — namely Gizmodo and TNW. It looks like we were trolled. The email, I’m bitterly ashamed to say, was a prank designed to trick reporters, and I fell for it hook, line, and sinker. I screwed up. I hold my hands up, and I freely admit it. But that’s not where the story ends, because there’s something really weird about the entire saga. The story starts on Monday at 14:34. I’d just finished my lunch and I was on the hunt for a story. Mondays are always slow. They’re great days to work on features and reviews, but you do find yourself hunting for something short and (for lack of a better word) news-y. Suddenly, my BlackBerry vibrates with the stinkiest stinker of a PR pitch that ever stunk out my inbox. Dear God, I thought. It’s so shameless and transparent, and was blatantly an attempt to capitalize on the current tech cause celebré. I had to write something. The pitch looked kosher. The campaign was real (and booming. With roughly $90,000 worth of pledges, it had long blasted through its $30,000 goal). It contained a folder with photographic assets — not just mock-ups or renders. And the PR agency touting the bottle had a legitimate-looking website and a domain name. So, I wrote it. And I laughed at how funny and acerbic I was, and I patted myself on the back for how I got them. A few hours later, as I was cooking dinner, my BlackBerry vibrated again. I’d been had. Although, I would dispute that it’s not because I was gullible, but rather because “Chet” made a concerted effort to concoct a believable-looking hoax. The Misty Mountain PR website, although admittedly sparse in areas, appears to be a legitimate-looking PR homepage, and lists services and successful projects undertaken. Despite his arguments otherwise, Chet had obviously gone to great pains here. This was no five-minute project. That said, in retrospect, there are some tell-tale signs that I should have noticed. There’s no mention of founders, and the contact page (which I didn’t visit) lists an obviously fake address on New York’s Broadway, and lists an email of template.placeholder@gmail.com. Moving on, Chet’s argument that I didn’t look at the press kit is totally bogus, especially considering the article used two photos sourced from it. While it’s true that there were some male models holding the Memobottle A7 in the image dump, it’s plausible to think that the company decided to use a different angle to market it to an entirely different demographic. I think the weirdest part of this entire saga has been Memobottle’s response. Look, reporters are human. We sometimes screw up — although, conscious of the role we play, we try our best not to. And when we do, you can guarantee we’ll hear about it. Usually it comes in the form of a soft, email-delivered prodding from the company’s in-house communications department or PR firm. Other times it’s delivered in angry block capitals, in a way that you can almost feel the flecks of spittle from the other person, even though you’re thousands of miles away. Or maybe as a sternly-worded letter from a legal department. The actual delivery method varies, but one thing remains the same: a concrete, definitive request for correction or retraction. Memobottle also referred to the company as “our PR agency” in one tweet. It also referred to the email as ‘rogue copy,’ which essentially disavows the text of the email, while saying nothing about the person that sent it. The company has also published several contradictory tweets that bring into question their relationship with Misty Mountain PR. 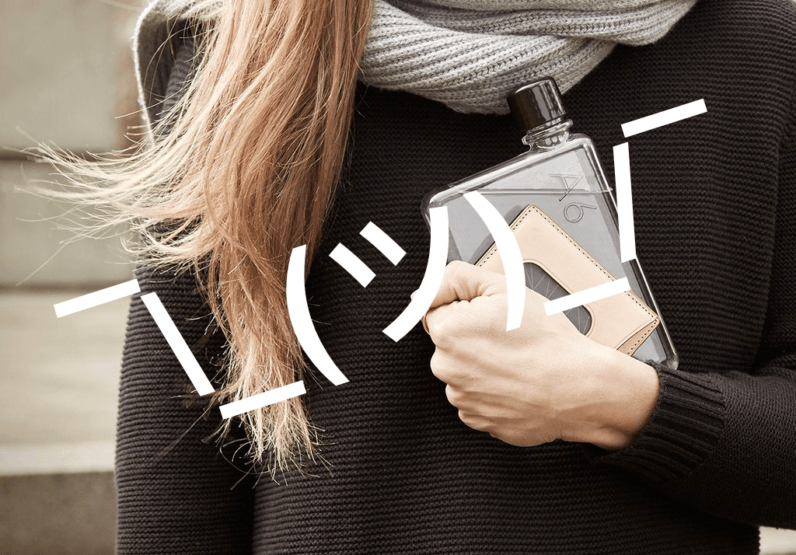 Memobottle later said clarified to say it didn’t know if one of its agencies had syndicated its PR downstream to another agency. It took roughly sixteen hours for the company to issue a complete and concrete denial. During this time, it didn’t reach out to issue a correction, which is typically what happens in these scenarios. There was a disappointing press release today regarding our A7 memobottle by 'Misty Mountain PR' – With who we have no affiliation. You would certainly expect them to be proactive in dealing with the issue, especially when it involves the sensitive topic of gender. Either way, this tweet is in direct contradiction of the company’s earlier tweets and the DM sent to Gizmodo, where it acknowledged it hired the firm to promote its Kickstarter campaign. Before I put on my Louise Mensch-brand conspiracy theorist hat, I just want to make it abundantly clear that I know I screwed up. I didn’t do my homework, and I allowed myself to be mislead. For that, I unreservedly apologize. With that out of the way, let’s talk about what’s happened, because I’m more than a little bit suspicious. I believe — judging from the contradictory tweets and the DM sent to Gizmodo — that Memobottle has deliberately tried to muddy the waters, sending mixed messages about its relationship with Misty Mountain PR. For what it’s worth, Memobottle founders Jesse Leeworthy and Jonathan Byrt vehemently deny this. I spoke to them on the phone earlier today and presented this theory directly to them. “Absolutely not,” Leeworthy said. When I asked them why they waited sixteen hours to deny Misty Mountain PR was their PR firm, they said that they wanted to confirm that their San Francisco-based PR company, Crowd PR, hadn’t outsourced their work to it. Memobottle’s tweet denying the connection was posted at 1:18 AM PT. It’s more than a little strange that they were unable to confirm this one simple detail (“are you aware of, and do you work with this company?”) until the early hours of the morning, especially in the midst of what appears to be a veritable PR crisis. When I asked them why they didn’t get in touch to issue a correction, they said they “wanted to wait and see,” and mentioned they got in touch with Gizmodo via Twitter DMs. That DM, I should note, explicitly said they worked with the company that sent out the pitch. It’s not uncommon to see people try to prank the media in order to get coverage. Pranks are lauded as part of the startup hustle, and it’s something I can, at least on an intellectual level, understand why someone would do it. If that’s the case, fair play lads. If the water bottle business flops, you can always pursue a career in viral marketing. And if it makes you feel any better, if I was in your position, I might do the same. Perhaps Memobottle or Crowd PR wanted to use a risky new angle to pitch its product, and conscious of the risk, used through a dummy PR firm. When it backfired so spectacularly, it decided to go out guns blazing. I think this is highly unlikely, but it’s within the realms of possibility. Stranger things have happened. There’s also a reasonable explanation. Perhaps Memobottle, confronted with an outpouring of rage and confusion on Twitter, responded in such a haphazard way simply because they didn’t know what to do. Leeworthy and Byrt also said they were “devastated,” and asked me to delete the article — something which, for the sake of transparency, we are unable to do, although we have amended it with a clarification. If that’s true, then it’s also true that someone set out with the intent of deliberately pranking the media, but also Memobottle. When asked, neither founder could think of anyone with a grudge against them. 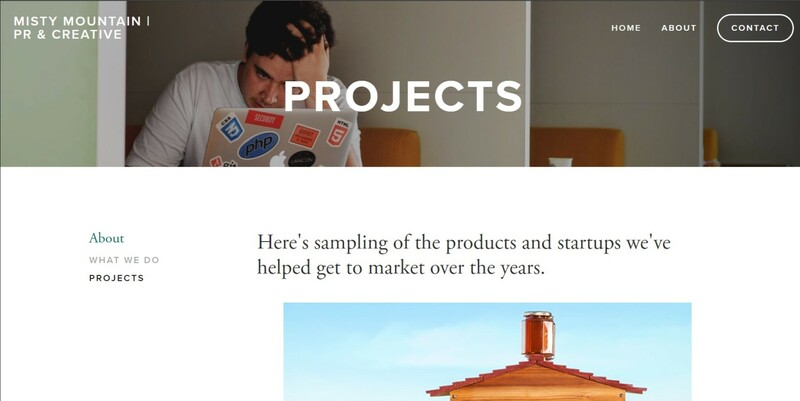 When I asked how “Chet” had obtained their marketing material, and was able to create a convincing-looking pitch, the founders suggested that it inadvertently came from Crowd PR, noting that they pay Crowd PR to blast its mailing lists with Memobottle’s content. Leeworthy suggested that someone on the list might have obtained and modified the pitch, and then used it in this prank. I have to admit, my eagerness to write an acerbic, look-how-silly-this-person-is piece took advantage of my better journalistic instincts. I was absolutely hoisted on my own petard, and I feel dreadful. Suffice to say, going forward, I’ll tread more carefully. And “Chet” has inadvertently exposed a flaw in the way we do our work. Reporters receive pitches from PR firms on a daily (more like hourly) basis. It’s common for brands to outsource their outreach work, especially considering that few firms have the resources or expertise to do it in-house. How do we know if a PR firm is legit? That’s certainly something everyone in our profession must think about, going forward.